DESTRUCTION OF PUBLIC PROPERTY – Eagle Hall – Eagle Hall sign pulled up, carried up the steps and abandoned in stairwell. This one was recovered, I would figure, and thus I figure this is it standing next to Eagle Hall. Still, they seem to go through them at an alarming rate. 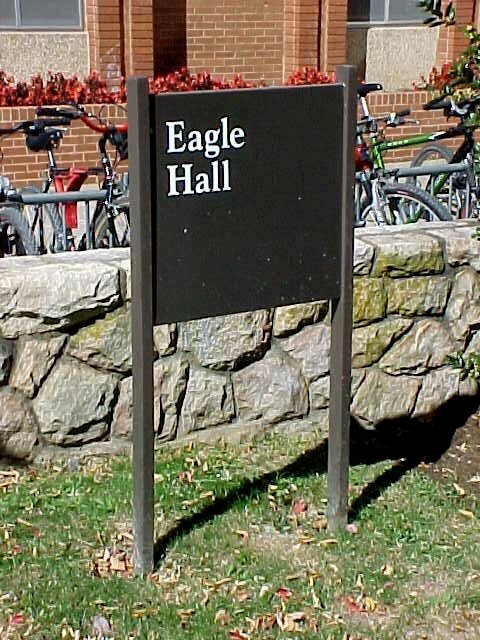 For instance, after Christmas break last year, when I went up to Zane Showker Hall for Microeconomics, I noticed something – Eagle Hall didn’t have a sign in front of it! There were two large holes where one once was, but no sign. A few weeks later, there was a new sign, i.e. 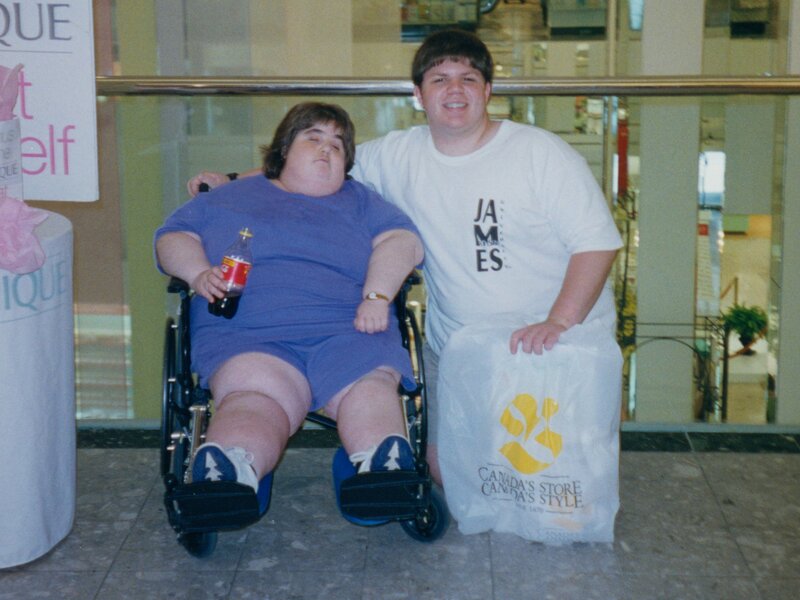 the one pictured at left. 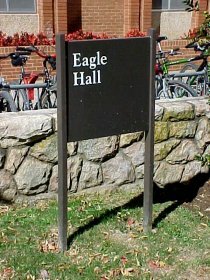 Why people want the sign for Eagle Hall, I don’t know… you’d think a more prestigious one would be the one for Zane Showker Hall. But I guess it’s because you have over 400 people living in Eagle Hall, and everyone who lived there wants to take a piece of Eagle with them when they leave. Most take photographs, but others obviously take the sign with them to remember their old home. Aren’t you glad I lived in McGraw-Long Hall last year?